Remember how I mentioned I was ridiculously busy with work back at the beginning of February? It's gotten so much worse. I won't bore you with the details, but I've been spending 18 hours a day either working or travelling to and from work. Hopefully it ends this week and I tell you this only because it's affected my sewing and I've fallen behind on the sew along and most other things in my life. I'm hoping to get all caught up by the end of the week, but I'll definitely be on top of things next week. I don't want to leave you without anything. I have a few announcements and updates if you'll bear with me. Firstly, I've been coveting some patterns and scouring ebay and etsy with minimal luck so I thought I would turn to you guys. 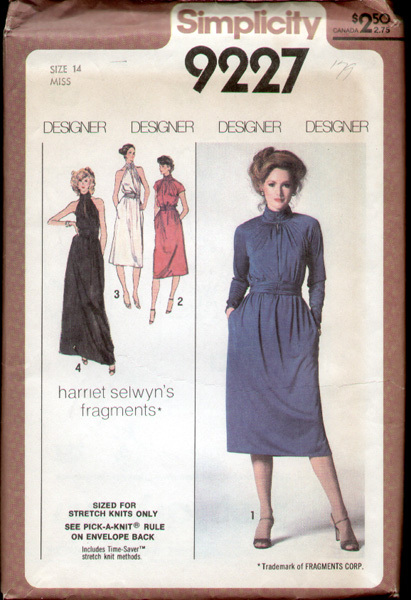 I would LOVE to own both McCall's 5816 and Simplicity 9227. If you have either copy (or maybe something similar? ), especially if they're in a size 12 or 14, please let me know. 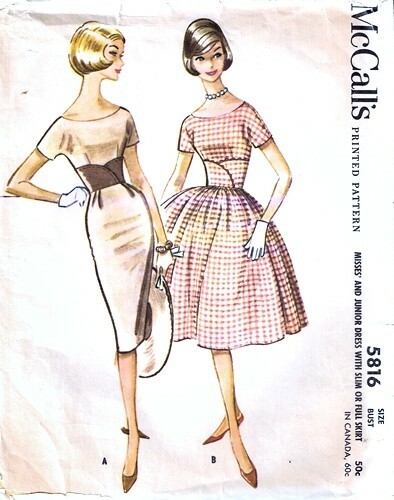 I'm happy to trade something out of my own pattern collection (which is mostly vintage) or whatever you'd like. Shoot me an email or leave me a message here. 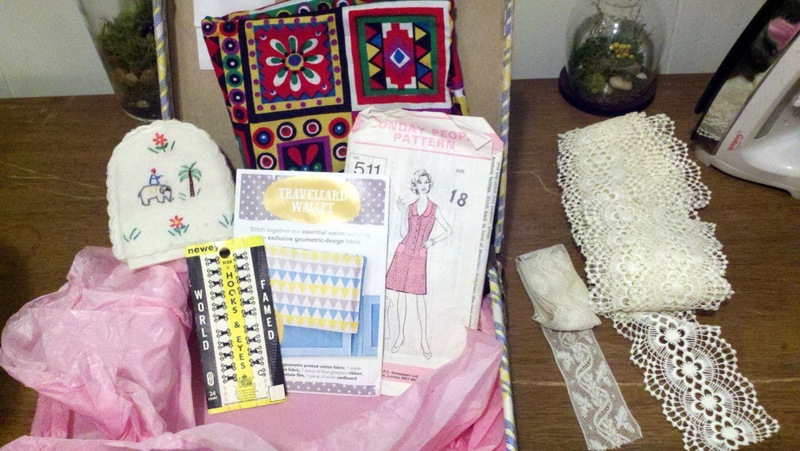 Secondly, I have just contacted the winner from Sew Grateful contest. I know, it's shameful! But I'll have it out this week. Congratulations go out to Catja from Gjeometry. If you'll send me your info, I'll send it out this week. And finally, I have been incredibly lucky during the Sew Grateful week as I won a total of 6 contests. I was hesitant to say anything because I feel a little bit like I cheated somehow, but I want to credit the amazing bloggers and their gifts, as well as give something back. I'm going to host another sew along in the next few months, this time from The Hour, but more on that after I finish the Pushing Daisies Sew Along! I'm also going to sponsor a few more giveaways as a thank you. 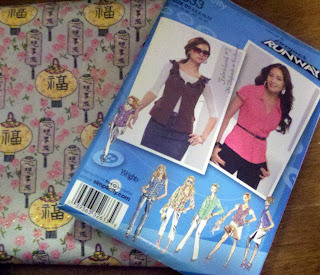 I have some patterns I could part with and potentially some fabric as well so stay tuned for that in the next few weeks! 1. Suitcase full of goodies from Deborah at Minnado's House. The contents of the suitcase were actually a surprise, but I was a little more excited about the vintage suitcase because I collect them. However, when I opened the suitcase, there were so many amazing things inside, including lace trim from her grandfather's wedding dress business! 2. Ring cushion pin from MrsC at Sent From My Iron. 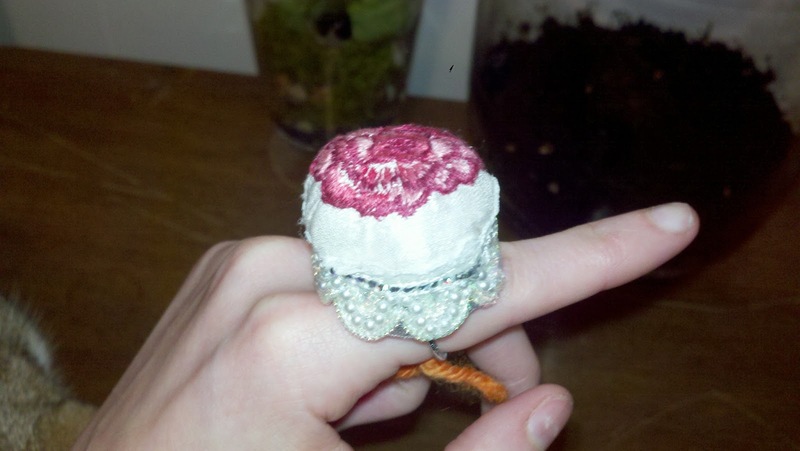 Made by her mother, this ring cushion is such a clever idea. You wear it and keep your pins in it and that way there's no twisting and turning trying to figure out where to stick the pins. 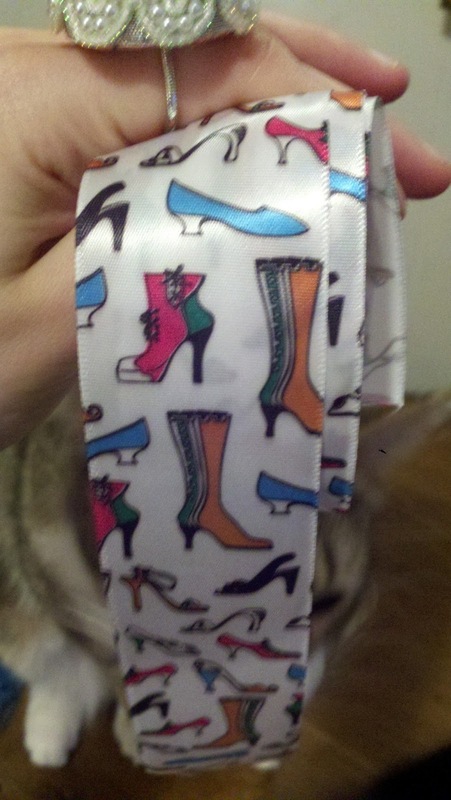 She also threw in some adorable ribbon! 3. 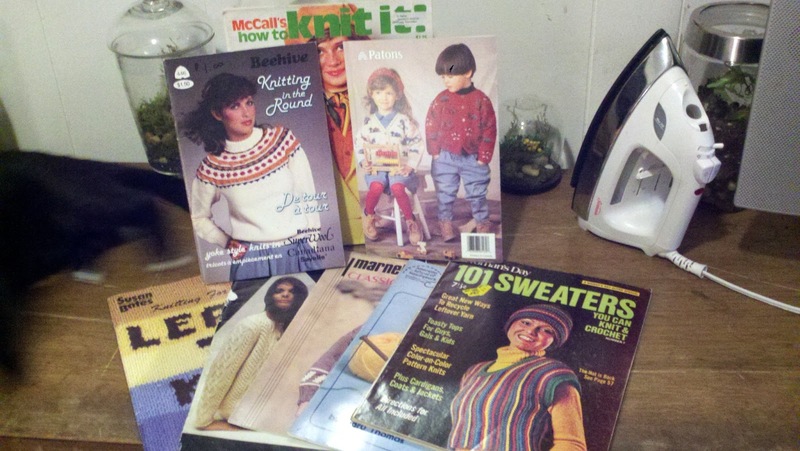 Vintage knitting magazines from Finished Threads. Yes, there are some horribly dated sweaters but there are some great vintage ones as well, which is why I couldn't wait to get a hold of them! 4. 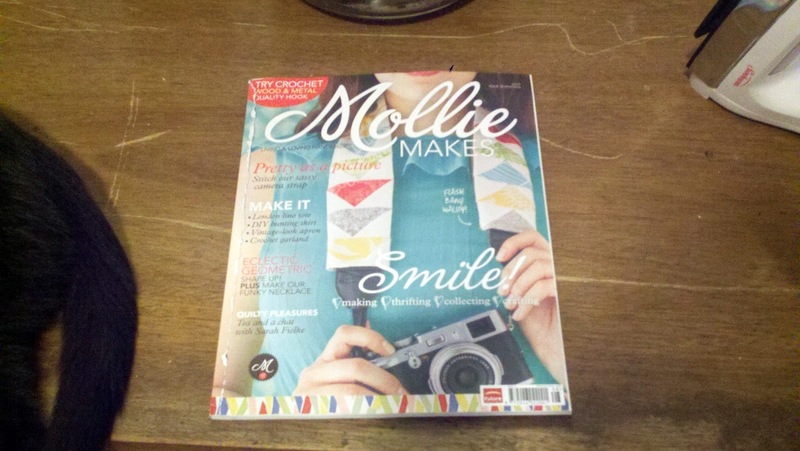 An issue of Mollie Makes from Nessa's Place. This magazine isn't available in the US (as far as I know), but I've heard it has some interesting things in it and I couldn't wait to take a peek! 5. A blouse pattern and some beautiful fabric with Chinese lanterns on it from Graca at Sew Essentially Sew. I already have some great ideas for the fabric, and I can't wait to get started! 6. 10 yards of fabric of my choice from Erin's stash at Seamstress Erin. 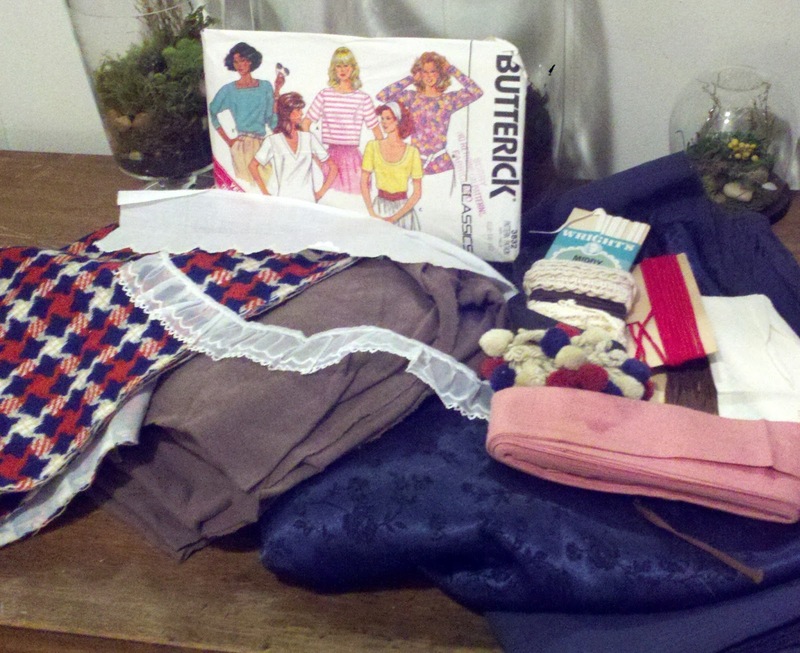 I grabbed some jersey (of course), some silk, some vintage hounds tooth that I can't wait to make something with, and some cotton and others. Erin threw in some extra trimmings from her grandmother and a pattern. Andddd late breaking news: I just won Oona's weekly contest for a bobbin holder. Go check out her blog if you haven't already. She's amazing. And perhaps I'll stay away from entering contents for awhile... or maybe I'll buy a lottery ticket! Yep, strike while the iron's hot! 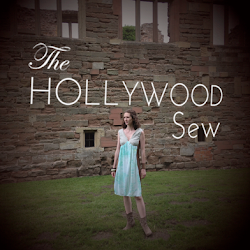 And hopefully you can get a few minutes to spare for your sewing (and sleeping!) soon. I would wish you good luck, but you probably don't need it! Fabulous luck!! You should definitely enter the lottery!! Congrats, Kristin! Fun prizes all. 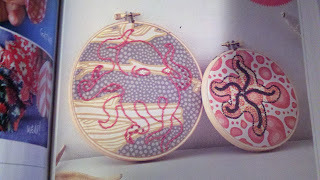 Endless hours of sewing fun. Congrats to Catja as well. As usual, I'm running last minute on the sewalong, but I am cutting my daisy fabric literally as we speak. Yay. Chuck will live on. Yay, glad you're cutting! We'll probably end up finishing at the same time! Pushing Daisies Sew Along: In the Home Stretch!